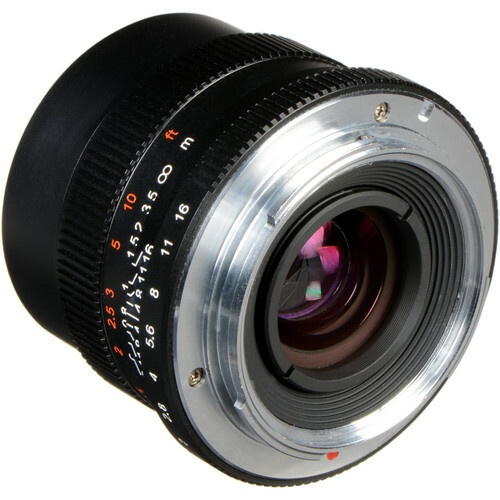 Designed to fit Sony E-mount cameras, this black 35mm f/2 Lens from 7artisans Photoelectric is a prime lens for full-frame sensors with completely manual operation. It has a slightly wide focal length that is well-suited to street shooting and travel photography. 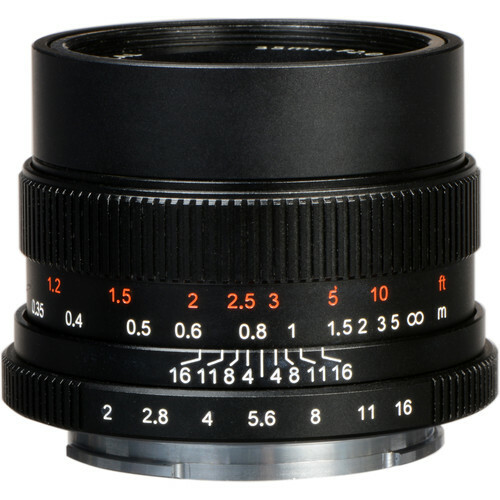 A rounded 10-blade diaphragm offers pleasing bokeh and smooth out-of-focus areas, with a bright maximum aperture of f/2 that can be stopped down to f/16 to improve depth of field. 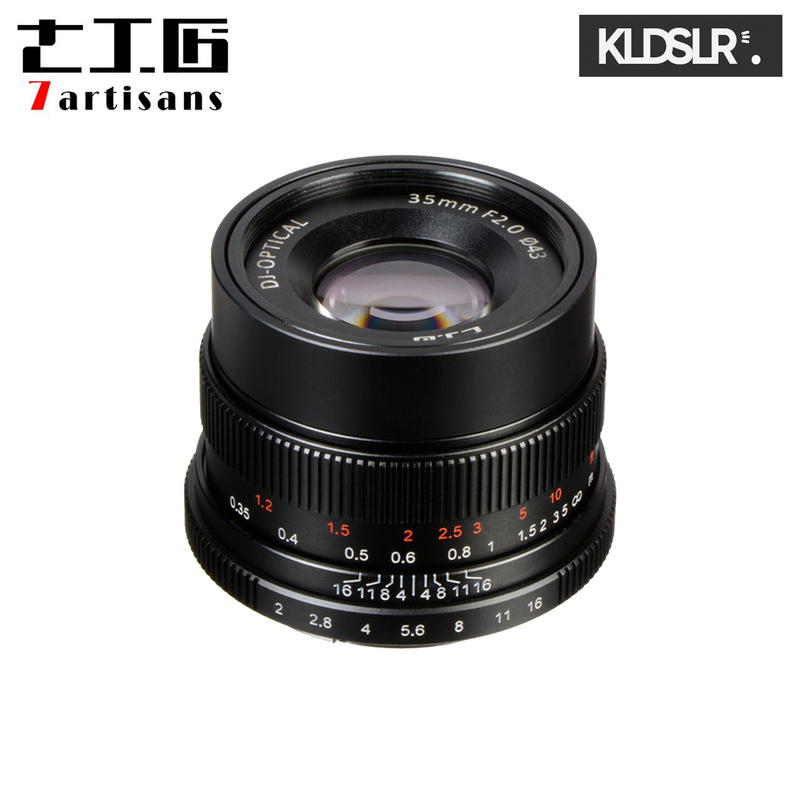 The lens' optics feature 7 elements in 5 groups that are treated with a multi-layer high permeability coating, which helps reduce reflections and improve image quality. Both the manual and aperture rings have knurls to improve grip and are complemented by an engraved depth of field scale for easy operation. Other features include a minimum focus distance of 13.8" for close-up shots and a 43mm front filter thread for mounting a wide variety of optional filters.